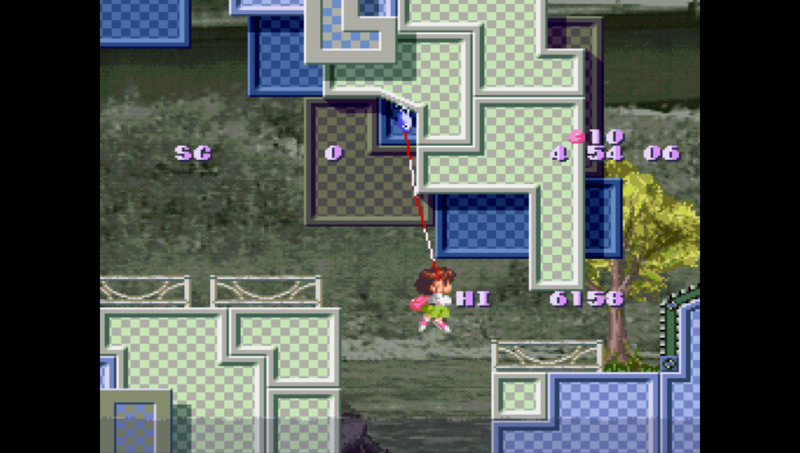 Umihara Kawase is a girl who uses a fishing hook as a grappling hook. You’ll need quick reflexes to swing your way through the branching surreal environments. Use your brains to figure out the best way through. They say fish is brain food—you’re going to need it! 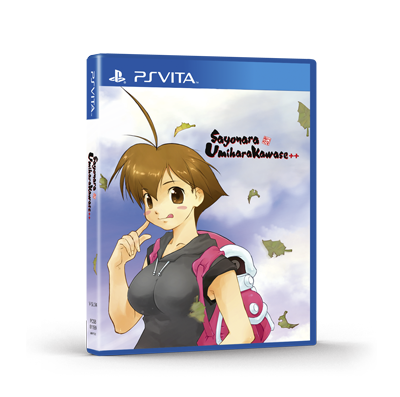 We, as Strictly Limited Games, would like to use this chance to thank Toshinobu Kondo-san for his incredible work, passion and professionality we experienced when working with him on making the physical version of Sayonara UmiharaKawase++ a reality. 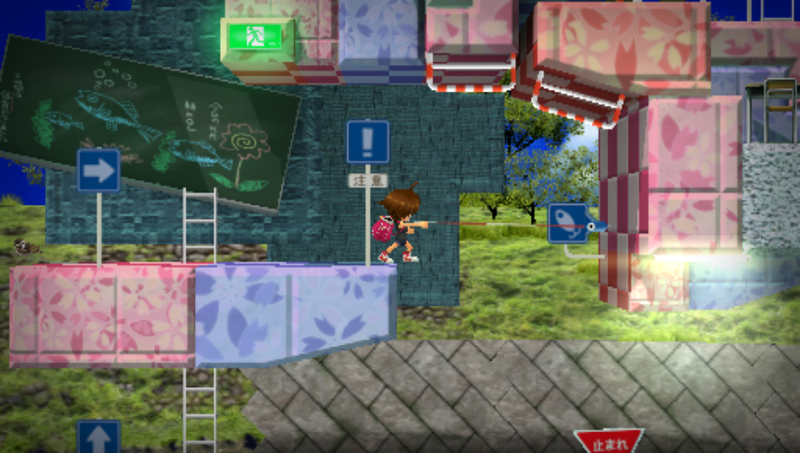 We feel honoured being a tiny part in the history of Umihara Kawase. Also, we would like to thank the extremly enthusiastic fan base of the Umihara Kawase series. You guys are amazing! This is the story of Toshinobu Kondo, creator of Umihara Kawase. More background information can be found in the artbook of the Sayonara UmiharaKawase++ Collector’s Edition. I actually came to Tokyo to be a Manga-Artist. I did not have any friends there at that time, so I had no chance to talk with anyone for quite a long time. One day I thought, “I really want to have friends here..!” and I started to occasionally work at a game company to meet new people. I made some friends there. But although it is fun for me to make games, I left the company after one year because I wanted to concentrate upon making Manga. After that I could make my professional debut as a Manga-Artist. The illustration on the wall in my office. They just had finished making Umihara Kawase for Super Nintendo. I don’t stand the slightest chance against Mr. Sakai when it comes to programing , but I’m better at drawing. So I decided to take part in the project as an illustrator for the company. The feedback I received from various editors of manga publishers was not very good, but basically I did not really care about them. I love to draw and I have drawn illustrations for a long time. Therefore I did not want to change my drawing-style for Umihara Kawase. In those days no one used computers to draw and I used acrylic colors for my illustrations. In many game shops the posters with my illustrations were placed on the walls. I heard something like that quite frequently. Since that time, I was finally able to earn my living as an illustrator, and finally said goodbye to my poor living conditions. Found in a book cabinet at home. 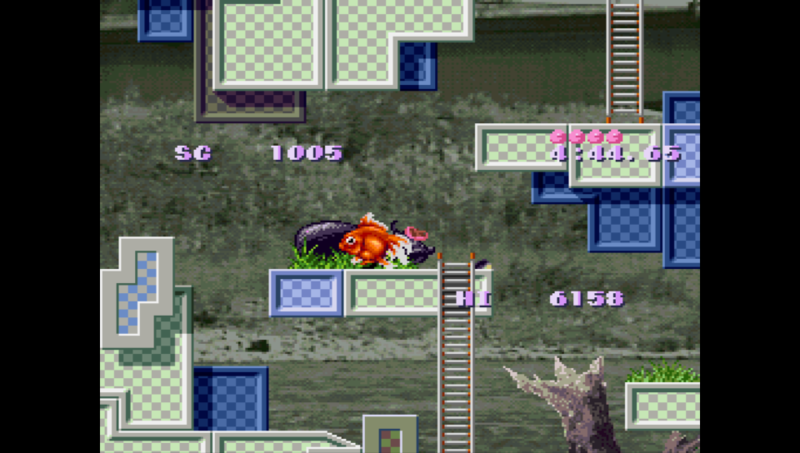 This is a Super Famicom Test-ROM which brings back memory old days. Back then we had used ROMs for testing the games. I guess many people believe that the first Umihara Kawase was released for Super Famicom. But actually there was Umihara Kawase for X68000 before. X68000 is a 16-bit computer system which was made by Sony in Japan. 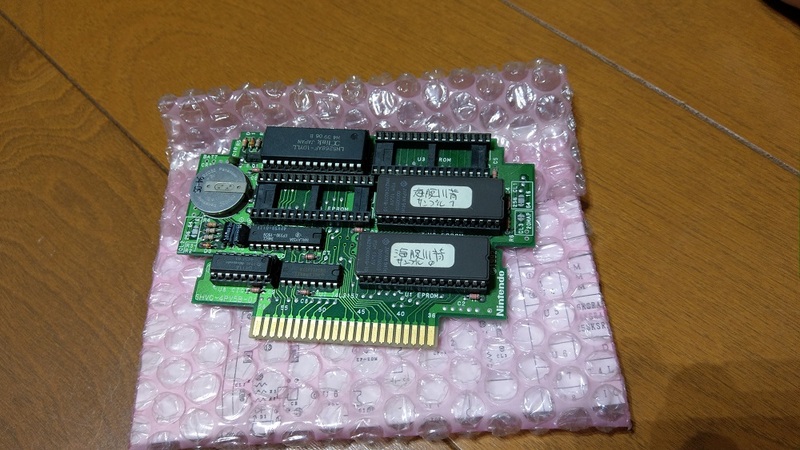 Our programmer Mr. Sakai made a prototype of Umihara Kawase for X68000 at that time. 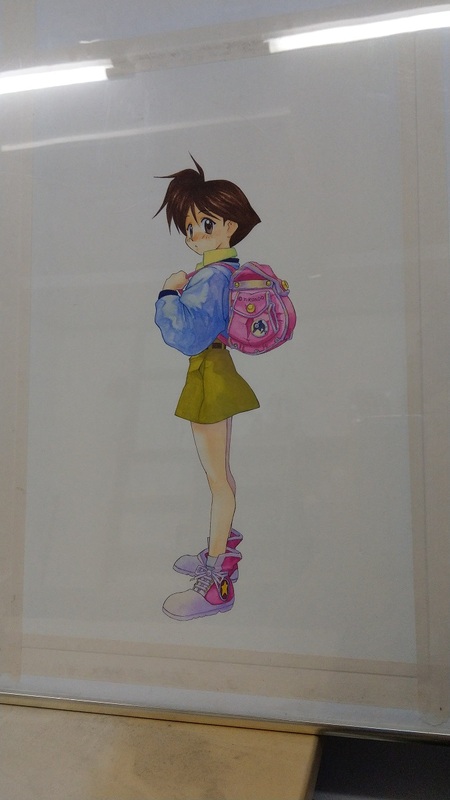 He said: „We have to do a prototype first to make sure that the game is really fun!“ With this faith he started to create Umihara Kawase for X68000 little by little. So, the first Umihara Kawase was made by just one person – Mr. Sakai. It was quite common in those days that games were made by one person alone, but he already had some high potential skills back then. I had also created some games during my school days. But I could not buy an assembler because I didn’t have much money for it, so I converted mnemonic into hexadecimal number watching conversion tables of mnemonic and machine code. So mistakes in calculations could not be prevented and occurred frequently. I realized that it was not possible to make long programs with hand-assemble, so I finally gave up to make them by myself. After some time I started to work in a game company where Mr. Sakai was already working. (We are in same age, but he was a “senpai”, a Japanese term for senior colleague). One day, when I walked past him, I was so surprised because he was genuinely converting hexadecimal numbers into machine code on the fly while typing. It is actually too hard to be done. However, he did everything in his head and typed all these codes. It was so amazing and I know of no other programmer who is able to do such a special thing. We started this company with 8 members 20 years ago. They were almost my asisstances, when I was a manga-artist. We had really eventful time and now we are working with more members than we started. I think, this „Uihara Kawase++“ is the last series of Umihara Kawase in a certain meaning. 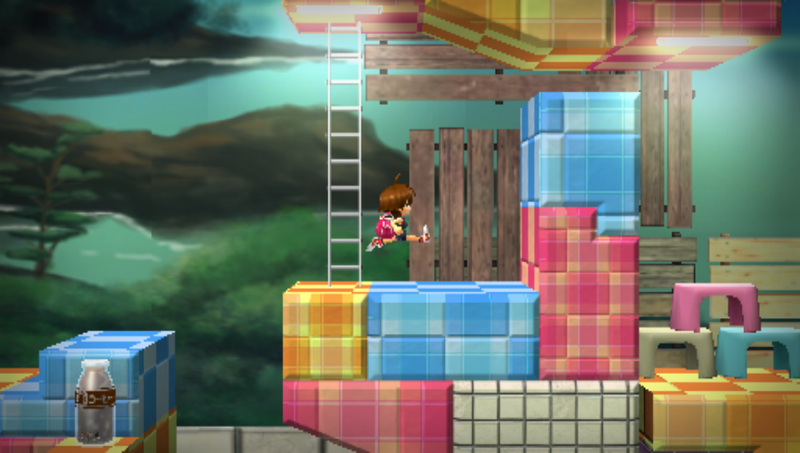 This game will be a compilation of Umihara Kawase up to now. We could not have accomplished our works without love of you fans. 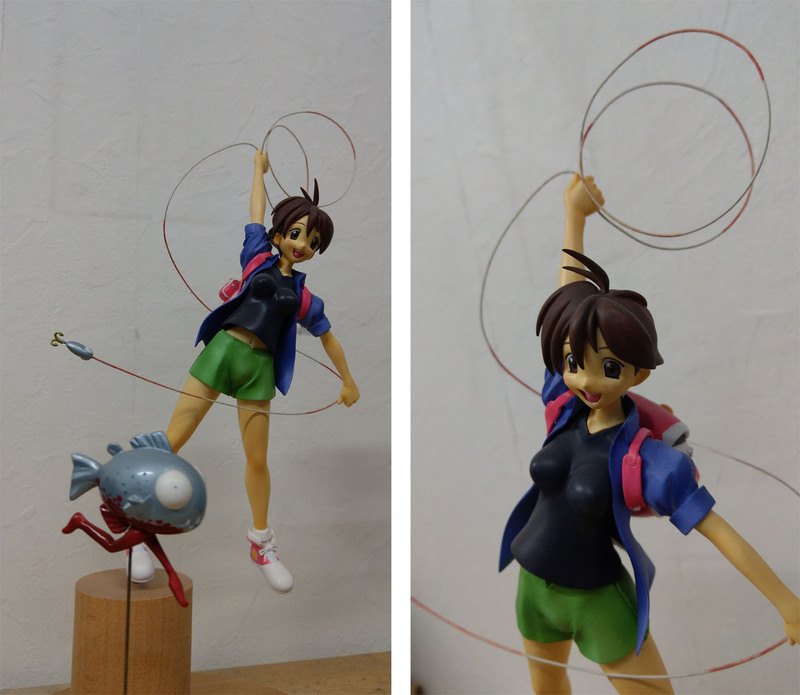 A big fan of Umihara Kawase made this figure you can see on the image. This is my favorite and we sold them at “Wonder Festival”. Figures in the office at Studio Saizensen. I have made a lot of games and designed a number of characters. But Umihara Kawase is one of the most loved character. I am so happy and really grateful to you all. When game industry began, the rules of game copyrights were not really fixed and therefore Umihara Kawase had passed into several companies’ processions. 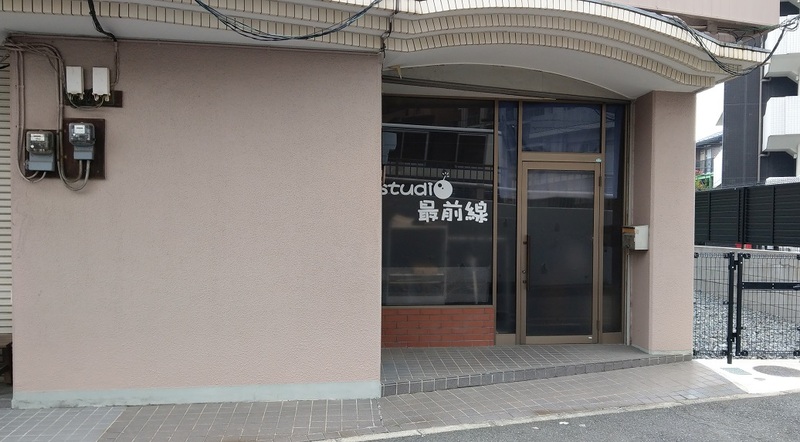 But since some years we “Studio Saizensen” have had back the copyright in hand. (it’s like „my daughter who was leaving home for a long time came back finally”!) 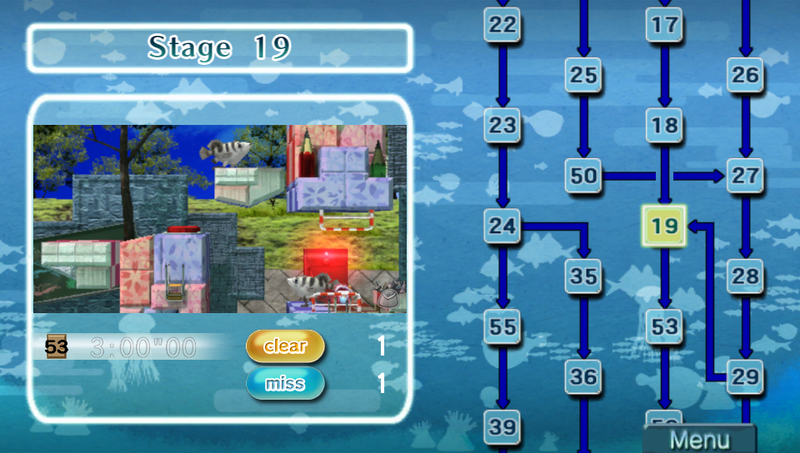 and now, we can make another Umihara Kawase as we like. 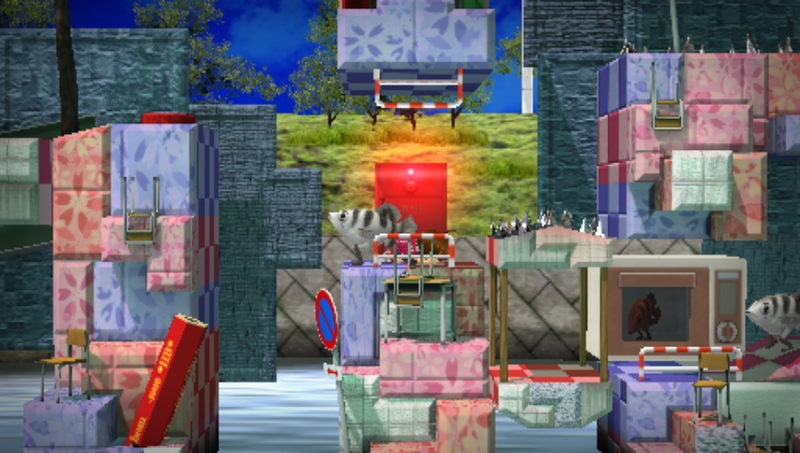 We will challenge to make “newly reborn” Umihara Kawase in the future. Mr. Sakai and I are keep working so hard for a new game, so please look forward to playing it! At the end I would like to say thank you, to Mr. Dennis Mendel and his colleagues who gave me a chance and worked very hard for „Umihara Kawase++“. And of course, Thank you all most sincerely for buying this game!